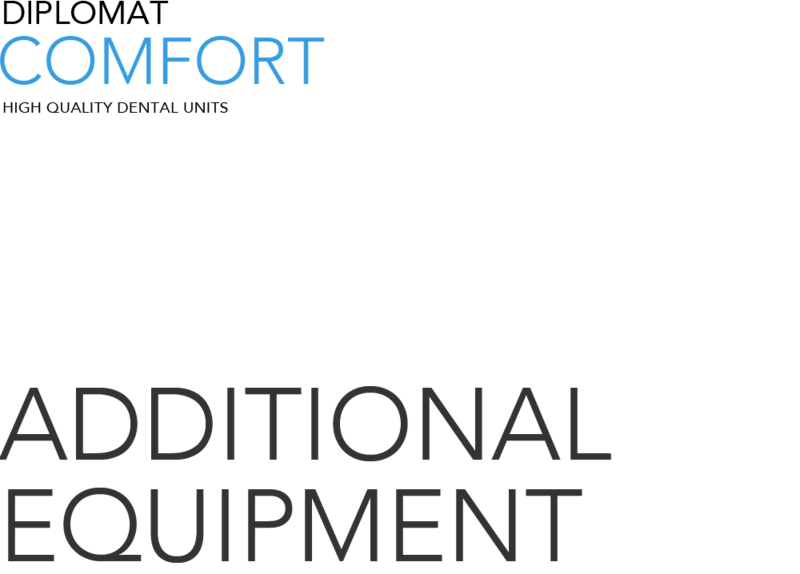 The DC310 (upper instruments hose delivery system) is available in a chair-mounted version. 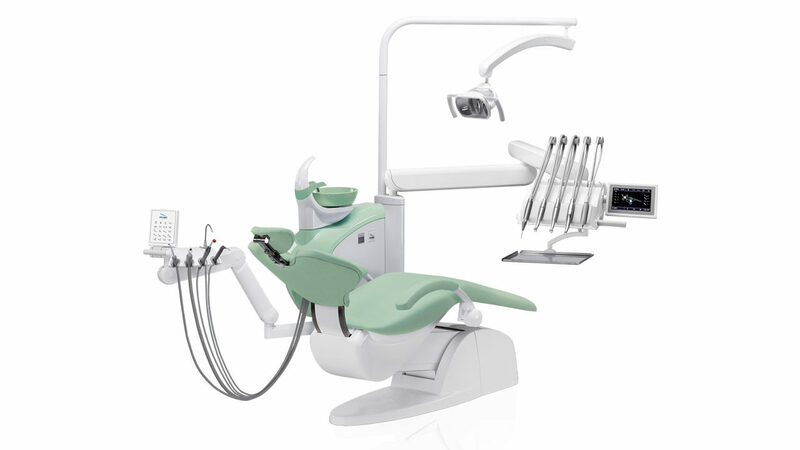 The pantographic arm has a mechanical or electro- pneumatic brake system enabling the dentist to set the dentist block into the optimal working position. 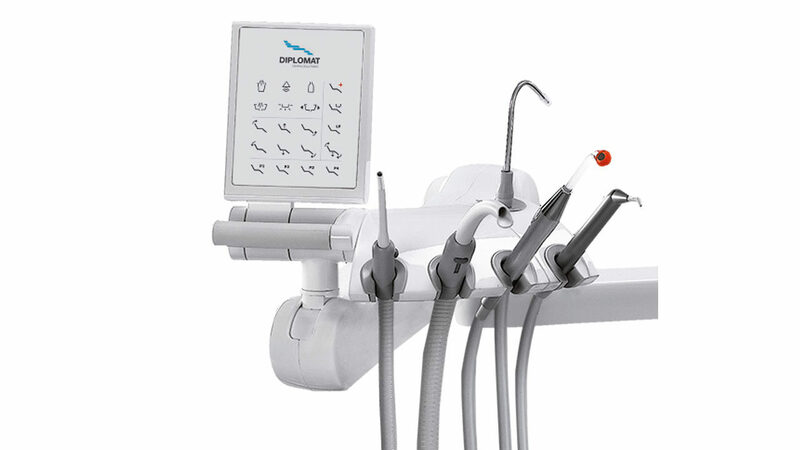 The swiveling spittoon bowl can be electronically controlled from both the dentist’s and assistant’s elements. 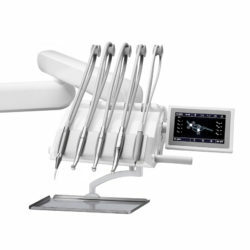 The pantographic arm-mounted assistant’s element is height-adjustable. 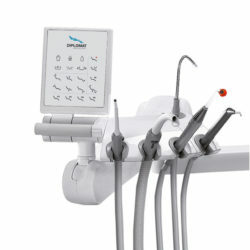 The assistant can control selected functions using a membrane keyboard. 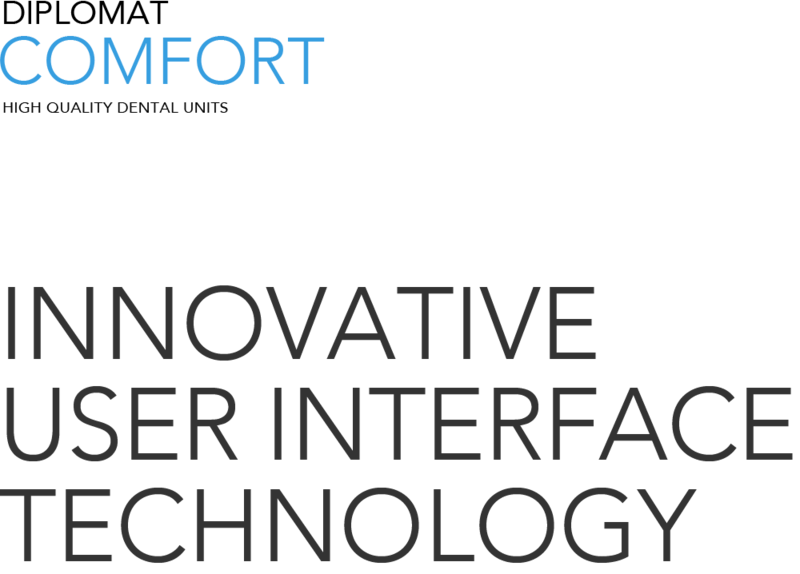 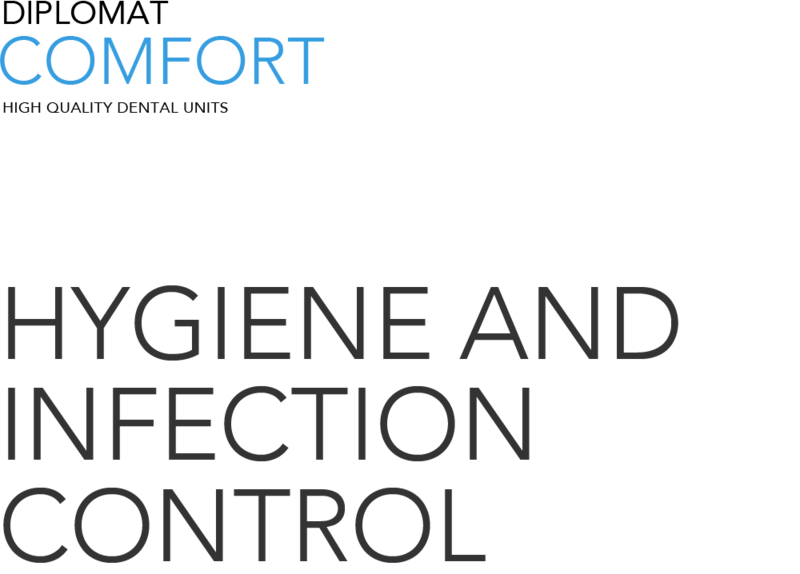 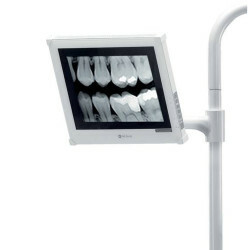 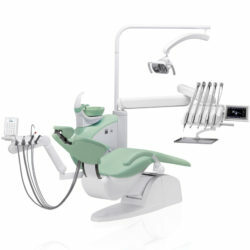 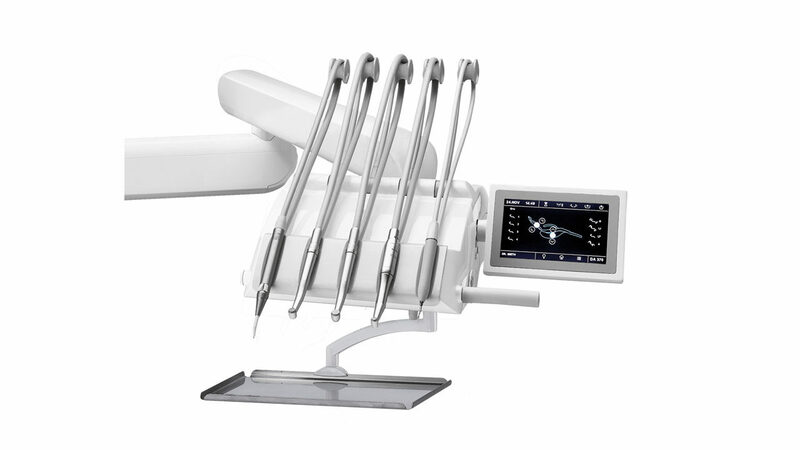 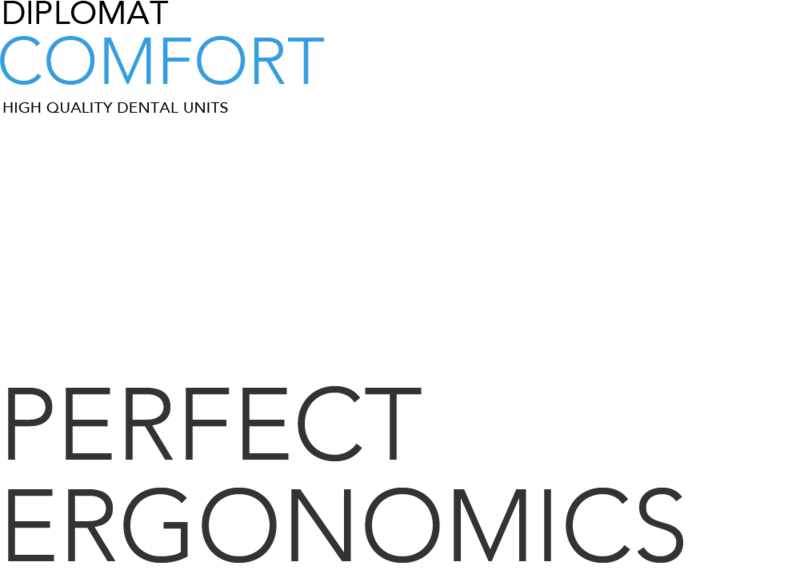 The dentist element is equipped with a 7-inch color resistive or capacity (optional) display enabling easy menu navigation and the control of all functions of both the unit and the chair. 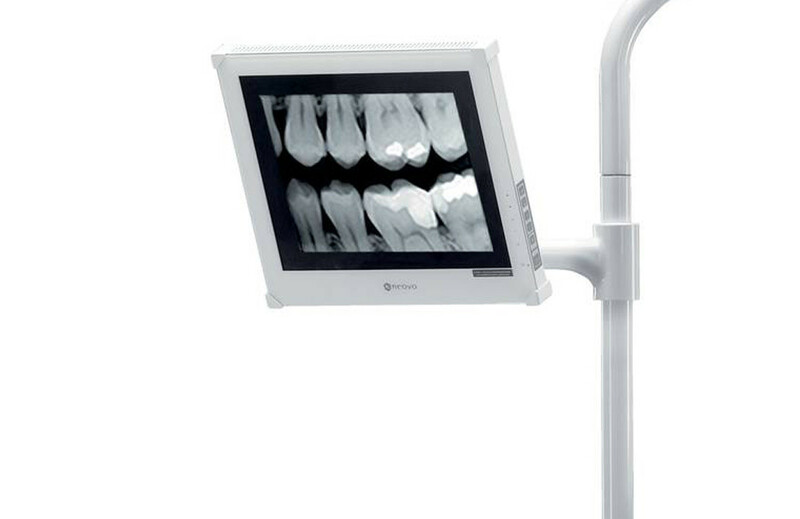 The panel features a capacious swiveling stainless steel or plastic tray table with two trays.